​Pastor Katrina transitioned into the Senior Pastor of Cornerstone True Fellowship, Lake Wales, FL after Senior Pastor Thomas Lunsford went to be with the Lord October 31, 2014. Pastor Katrina has evangelized and preached the gospel for over 30 years. She has lead National Youth Programs, Evangelism and Church Administration. 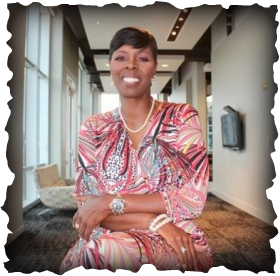 Pastor Katrina is a member of the International Congress of Churches and Ministers, Chattanooga, TN. Her belief is that we must live the life of Christ in order to Win Souls for Christ during these last days. People are God’s most valuable commodity and we should always remember that in everything we do. Katrina was born in Avon Park, FL to Fred (deceased) and Wilma Conner. She received her BS Degree in Finance from Troy University. Her Banking Career is expansive starting at Barnett Bank in 1983 where she grew into Commercial Management Leadership positions and transitioned to SouthTrust Bank where she obtained a Senior Management position, and is currently with Fifth Third Bank as a Vice President Middle Market Relationship Manager. Katrina also owns Lunsford Innovative Consulting LLC – where she develops programs for non-profit financial management, strategic planning, leadership development and more. Katrina's community service includes; member of Omicron Kappa Omega Chapter of Alpha Kappa Alpha Sorority, Inc; Early Learning Coalition of Polk County -- Chair Elect (Gubernatorial Appointment), CareerSource Polk County – Board, Polk County Community Relations Advisory Council – Vice President, Volunteer in Service to the Elderly (V.I.S.T.E.) Advisory Board, and Lighthouse Ministries Advisory Board. She has received various awards including Girls Inc She Knows Where She's Going, Lakeland Chamber of Commerce Spirit of Diversity, 100 National Coalition of Black Women Momentum Award, Lakeland Chapter of NAACP Unsung Hero Award and the Career Source Polk County Larry Miller Award for time, integrity and moral character. Katrina is a graduate of Central Florida Leadership. She also is a graduate of Leadership Lakeland Eight and was the Chair of Leadership Lakeland Fourteen.